This report contains 81 images copyrighted by the WSEAS. All rights reserved. by Prof. Ivana Horova, Masaryk University, Czech Republic. by Prof. Daniel N. Riahi, University of Texas-Pan American , U.S.A.
by Prof. Marvin Goldstein, NASA Glenn Research Center, USA. by Dr. Albert Moussa, BlazeTech Corporation, USA. Nonlinear Control and Synchronization of Multistable Dynamical Systems, Prof. Alexander Pisarchik, Centro de Investigaciones en Optica, A.C., Mexico. by Professor Alexander Zemliak, Puebla Autonomous University, Mexico. by Prof. Wolfgang Wenzel, Institute for Nanotechnology, Germany. by Prof. Ned Djilali, University of Victoria, Canada. by Prof. Sang-Joon Lee, Pohang University of Science and Tech. (POSTECH), Korea. by Professor Weilian Su, Naval Postgraduate School, U.S.A.
by Prof. Katarina Jegdic, University of Houston - Downtown, Texas, USA. Modern Topics of Computer Science. Editors: Alexander Grebennikov, Alexander Zemliak. 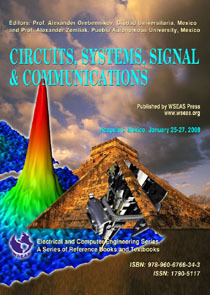 Circuits, Systems, Signal & Communications. 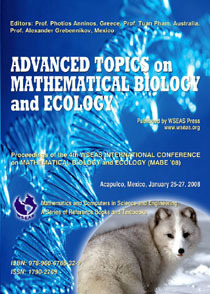 Advanced Topics on Mathematical Biology and Ecology. Editors: Photios Anninos, Tuan Pham, Alexander Grebennikov. 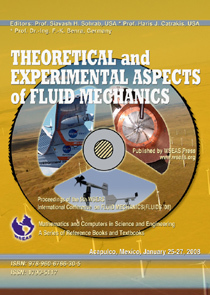 Theoretical and Experimental Aspects of Fluids Mechanics. 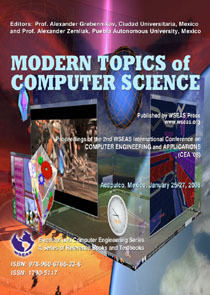 Editors: Siavash H. Sohrab, Haris J. Catrakis, F.-K. Benra. 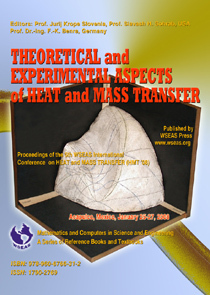 Theoretical and Experimental Aspects of Heat and Mass Transfer. Editors: Jurij Krope, Siavash H. Sohrab, F.-K. Benra. A wonderful Gala with numerous different courses (self-service buffet) with delicacies from Mexico were given to the participants in the evening of January 26. As you can see in the previous pictures several folklore shows took place with many artists, different appearances and several happenings.
.: Some Excursions to the city and to the breathtaking beaches took place after the conference.